The Portland Diamond Project -- @PDXDiamondProj -- has been leading efforts to bring big league baseball to my home city for the first time. 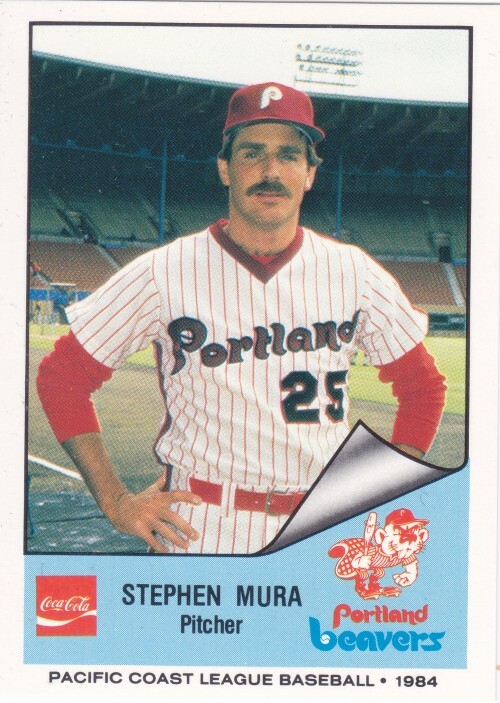 It's been awhile since we've seen a team relocate (2005) and even longer since we've seen a brand new team (1998), but professional baseball has a long history in Portland. The city has grown and changed a lot since the days where the old crusty sportswriters said another major pro sport was not sustainable in the City of Roses. Even though I am loyal to the Cardinals, I would welcome a team here with open arms (of course!) and would definitely go to tons and tons of games. This got me thinking about my past live baseball experiences in Portland, where we had a AAA team when I grew up (left town after I graduated from high school) and then again for ten glorious seasons in the 2000's. 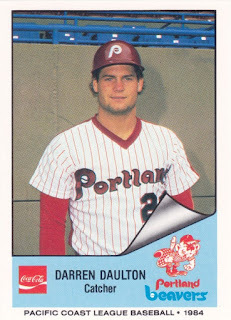 More specifically, I took the opportunity to work on my Portland Beavers collection, whose needs are fully documented here. 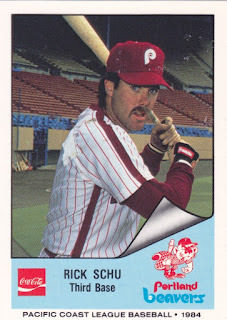 I just picked up a team set from 1984 on eBay and will be looking to acquire more in the future. 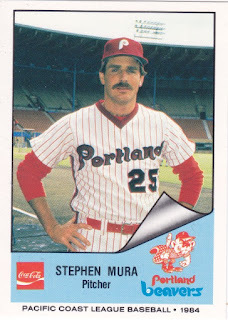 If you've got any Beavers stuff or Cardinals minor league affiliates, let me know! The backs had some sort of cartoon on them. This one explains that Cramer made team sets for the entire PCL, which is pretty cool. I wish I had sent off for a free pricelist! 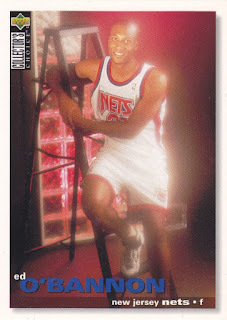 I tried to pick that cards that had the most shots of the old stadium. This is where the Portland Timbers play to this day, and much of the old baseball stadium shell is still intact even as they work on the second phase of a massive construction project this year. Here's a shot with a dude in the background. 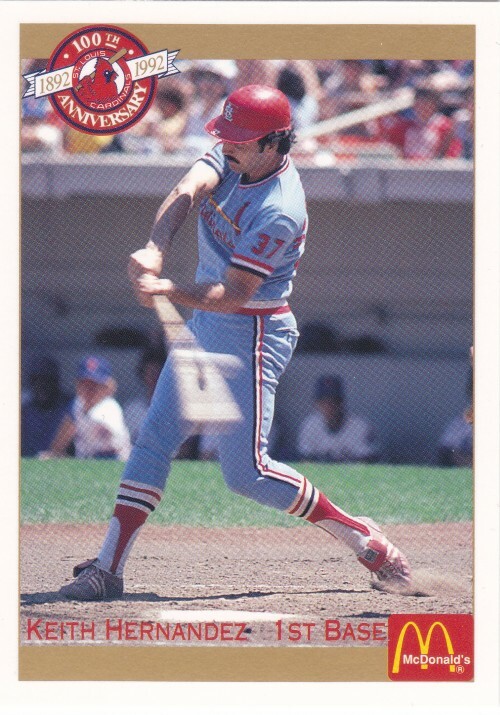 Again, I wish there was more of the stadium, but there aren't a lot of action shots on minor league baseball cards. Level I -- You are a winner. Contest time has come and gone, and this year's winning bracket was entered by leiber88. Congrats! 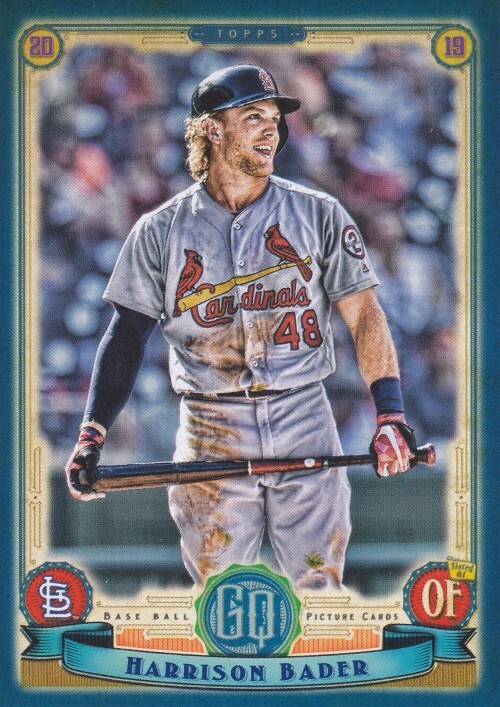 Contact me soon and let me know your prize choice (Heritage, Gypsy Queen or Bowman blaster.) Only two people correctly picked Virginia as the winner this year, going to show how wide open the tournament has become in the era of one-and-done college players. AJ (The Lost Collector) had the 2nd place bracket, with Wilson and JasonB finishing 3rd and 4th respectively. All will win some cards for their respective collections. Please send along your mailing addresses when you get a chance! Going from First (in the Bowl Pick 'Em) to Worst was Trevor (Bump and Run). He will be receiving a container of spiders, probably. There's a couple of items I didn't mail out from the last contest, because I always manage to get behind on things around this time of year. That should be rectified shortly. Thanks to everyone for reading and participating! Dennis of Too Many Verlanders / Manninghams sent me a grouping of fun Cardinals and Ducks stuff right before Christmas. In the spirit of the season... whatever season this is (spring?)... I thought I'd release these scans free to the world. 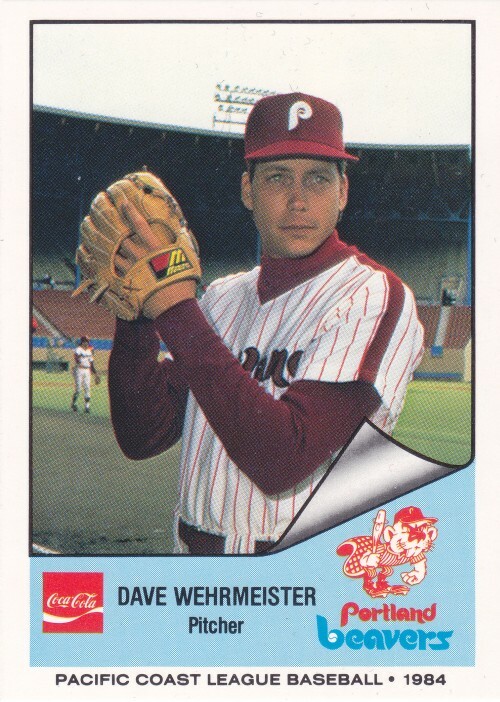 Let's, uh, pretend that this was sitting in my scan folder and I didn't just get around to this tonight. Along with the numbered (to 9000!) 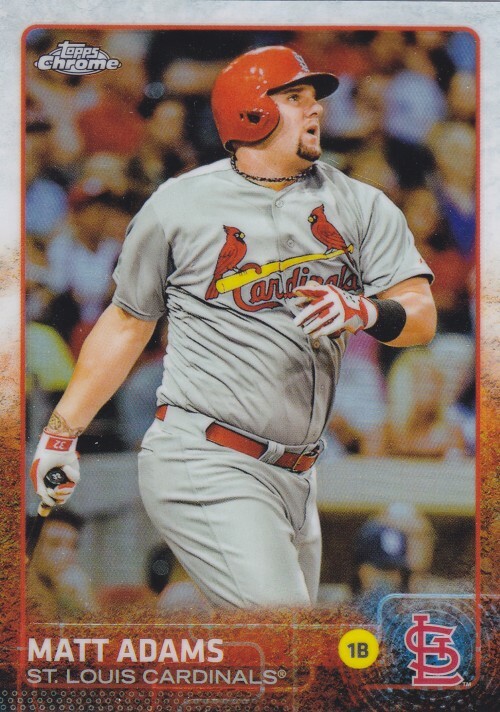 Ron Gant card you see at the top of the post, this refractor version of Matt Adams' 2015 Topps Chrome card was a welcome addition to my collection. The Gant card makes me wish all cards were serial numbered, just so we'd be better informed of the sometimes hilariously high production numbers of certain sets. 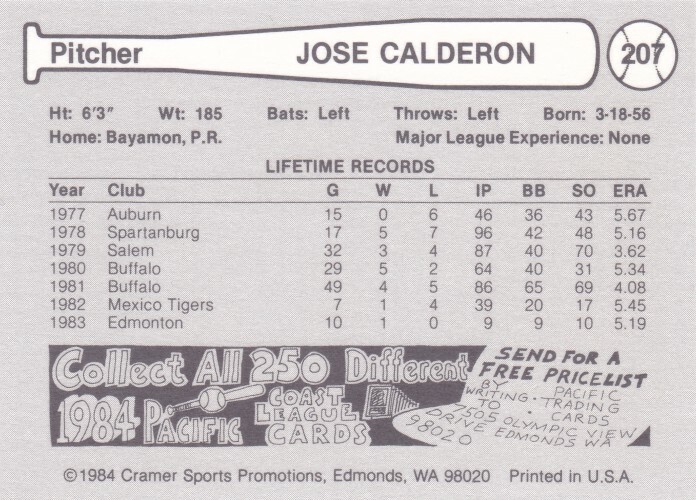 The weird thing is, cards from the '90s that have serial numbers in the thousands are sometimes worth considerably more than stuff that's produced today that's numbered to 199 or whatever. Supply and (especially) demand are strange beasts. 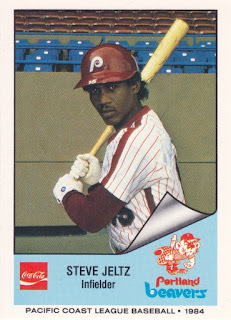 Topps Tribute -- always keeping it classy! 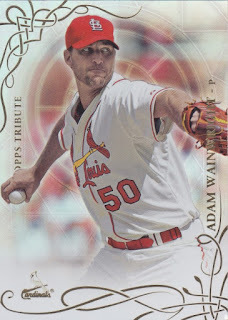 Waino had a really nice second start this season, striking out 9 Padres in 6 innings and holding the opposition to 1 run. After an incredibly rare Friday off day for the team, he takes the hill in Monterrey, Mexico against the Reds on Saturday. As a fellow college football enthusiast, Dennis always finds some amazing Ducks and Ducks-related cards to send me. You'd be hard pressed to spot the actual subject of this card, but the logo patch looks cool and that's Jeremiah Johnson's signature on it. 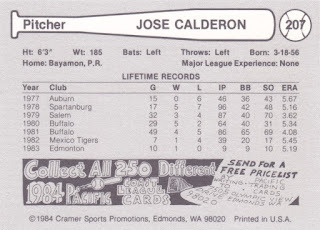 This one's even more impressive, somehow combining the printing plate concept with an autograph. What will they think of next? 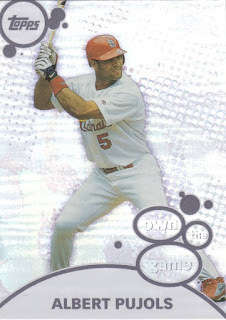 I think this makes just the third 1/1 card in my collection if I'm thinking correctly. 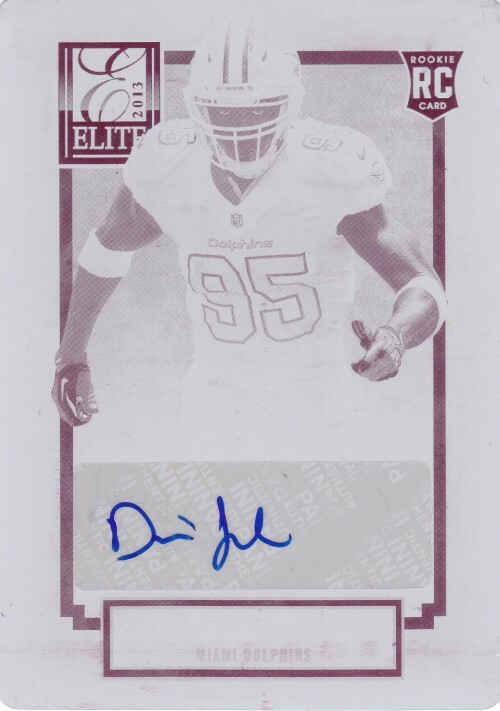 That's Dion Jordan on the card/plate, a former top pick who recently resurrected his playing career with the Seattle Seahawks. Vintage and modern goodies from @dimeboxman for your perusal. For anyone who wonders what kind of order I follow when I post about card packages I receive, you can just stop. I can't seem to follow any particular order. 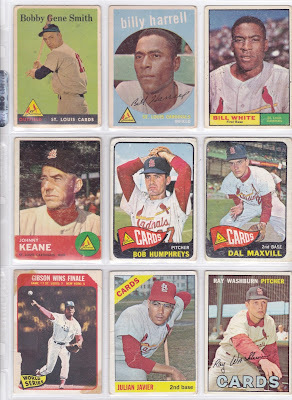 Here's a fun bunch from Dime Boxes that came to me way back in November. 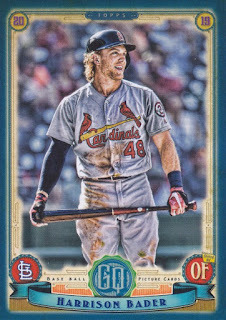 Nick knocked out a huge chunk of the 2018 Topps Update team set. 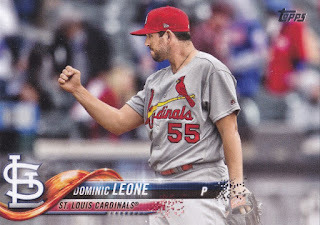 Dominic Leone wasn't much of a factor last season, but he seems to have a bigger role in the bullpen this time around. Here is pretty much your only look at Tyson Ross as a Cardinal, and it's horribly Photoshopped. The color is way off and there's no uniform number visible on the front. Update used to be a safe haven from the Photoshop Beast, but that is no longer the case. 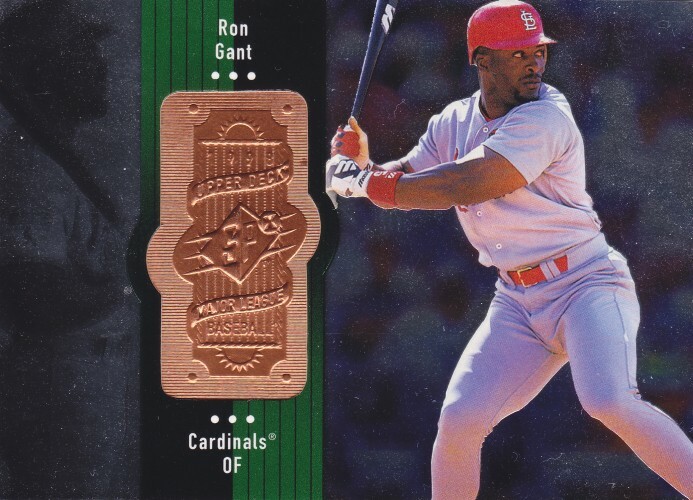 Nick also sent a nice chunk of this Pacific McDonald's set that commemorated the Cardinals centennial season back in 1992. Those pesky mid-'90s parallels are always a welcome addition to my collection. I still haven't figured out what Pappas is eating here. 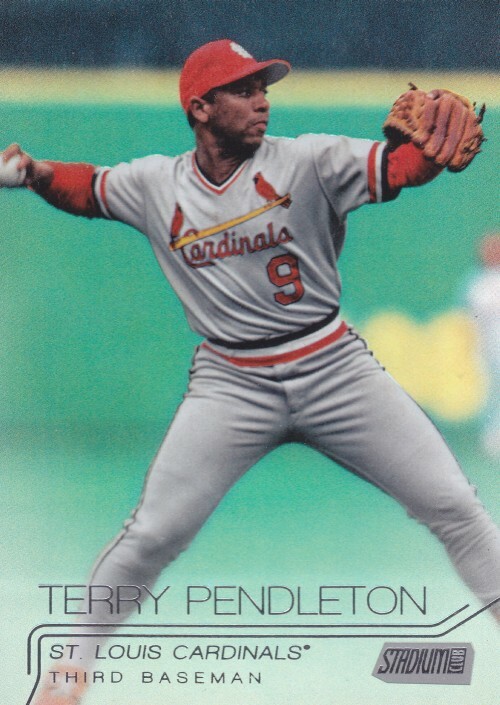 This is my first, shall I say, premium Terry Pendleton card. It's a rainbow foil card numbered to 25(!!). Wow, it's very nice. 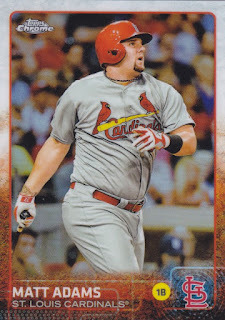 Not all of the cards were Cardinals cards. 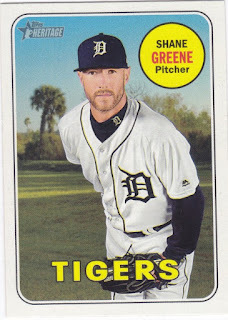 There was a good stack of 2018 Topps Heritage High Series needs. Let's pretend I didn't mess up the scan on this one. Shane Greene has a bunch of saves already, which makes me regret not drafting him for my fantasy team. I also ended up with a whole 9-pocket page's worth of very much loved '60s and late '50s cards. These are great and will look good in my binders when they're sitting next to the shiny punks that dominate today's cards. 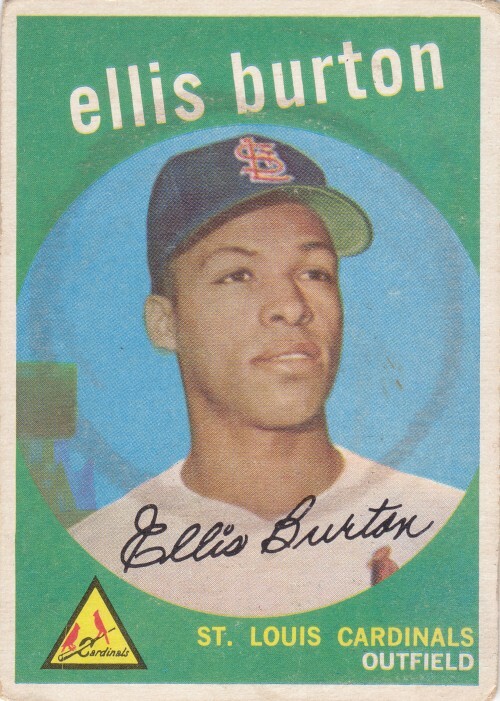 Someone used Ellis Burton as a coaster. Poor Ellis. 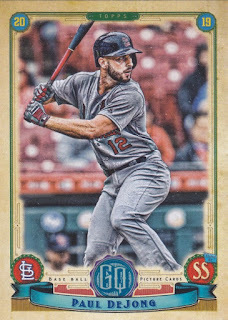 Gaze into the crystal ball with another #crackinwaxmailday featuring Gypsy Queen. 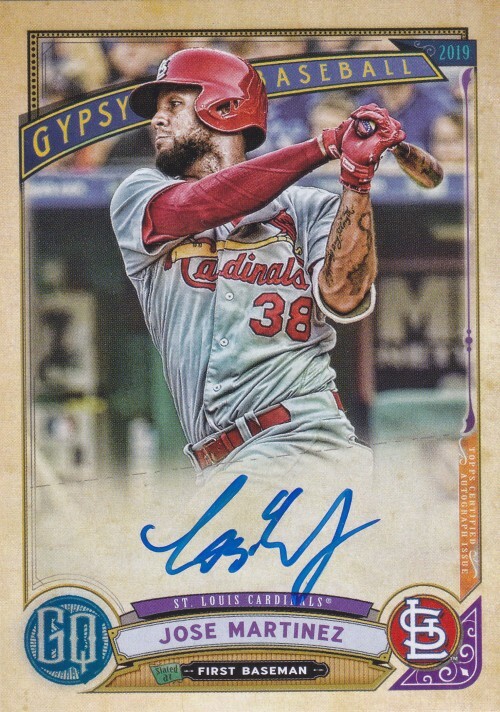 Back for its ninth iteration, the Topps Gypsy Queen set is by far my least favorite of their products of the many in its price tier. Sometimes, the cards do look nice, but it feels so unnecessary. 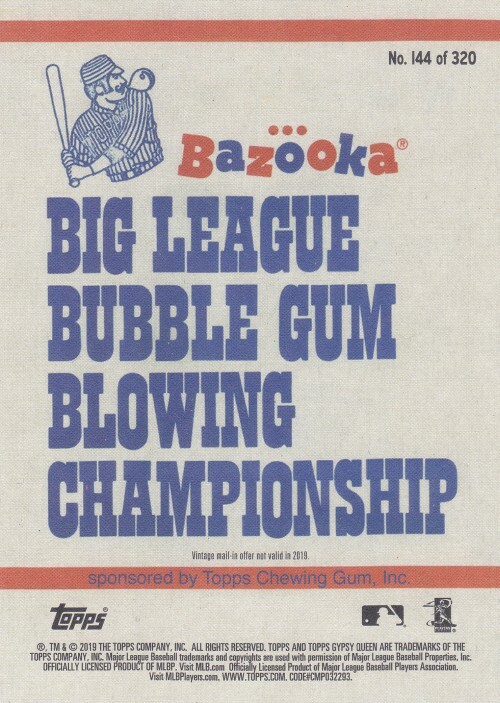 Of course, I've heard of some of the same complaints about Topps Archives, mostly due to their endlessly recycled designs. 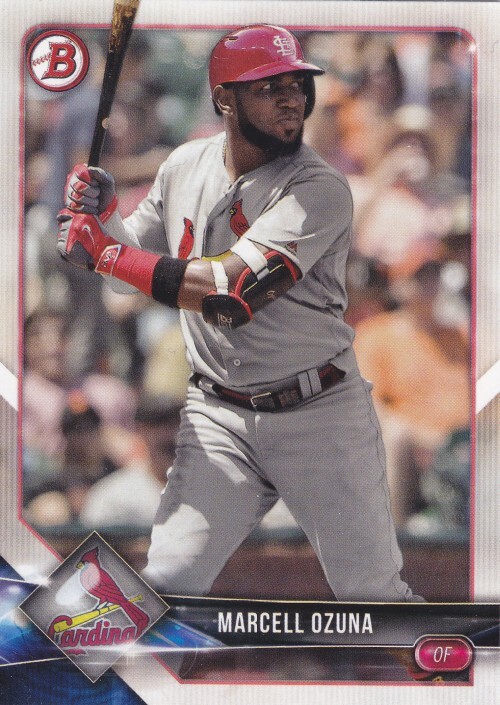 The only time I've really paid full price for more than a couple of packs of this stuff was back in 2015, when I was temporarily hooked by Ozzie Smith on the pack wrappers. 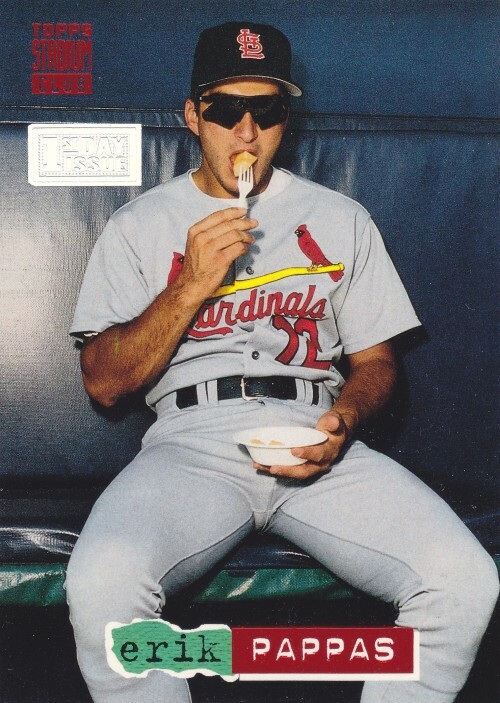 Still, I was more than willing to take the Cardinals slot in the Crackin' Wax group break. I ended up with multiple team sets (sans the short printed Mark McGwire) and some extra goodies. There's a lot of tiny writing on these cards. I'm not sure what else to say about the design itself, though, but this indigo colored parallel (numbered to 250) does look nice. 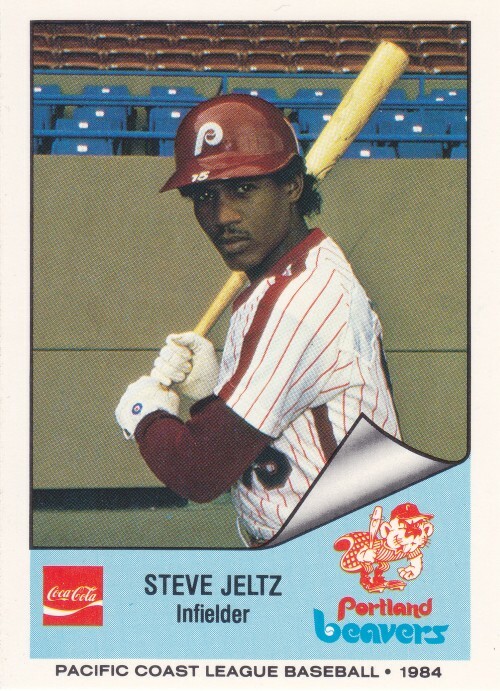 Like most Topps cards these days, they take a closely cropped photo and apply some photo software filters on them to get the final product. This gets most of the Cardinals shortstop in frame, but unfortunately cuts him off at the ankles. 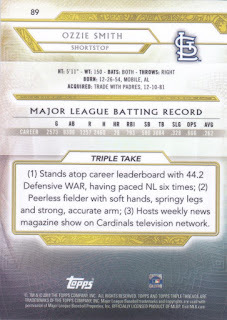 Box toppers are normal sized Chrome versions this year, but there's something strange about DeJong's card. They used an entirely different photo for it. 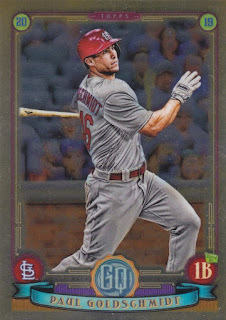 This wasn't the case for the other Chrome box topper, which you'll see in a bit. 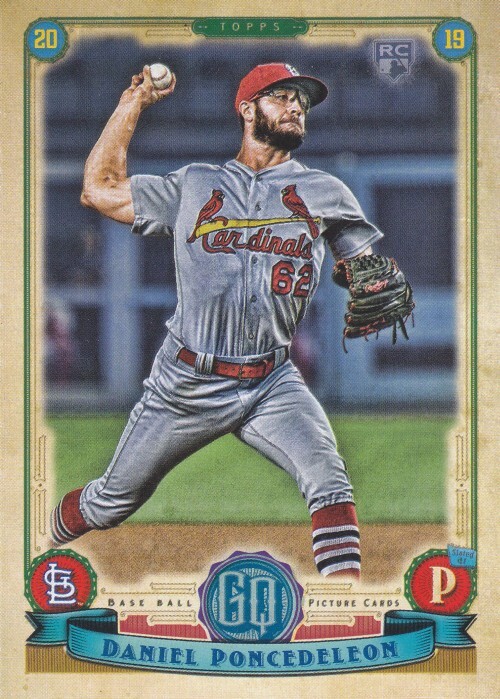 The reverse of the card that led off this post was Daniel Ponce de Leon's rookie card... except that it was actually this rarer parallel Bazooka back version. Neat. 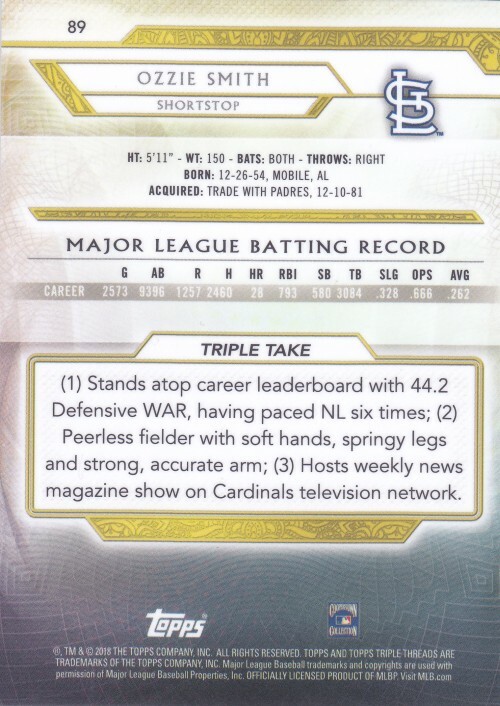 This and its base counterpart are my first official Paul Goldschmidt Cardinals cards, which is pretty neat. I won't say the 'P' word, because I'm trying to keep things positive here. 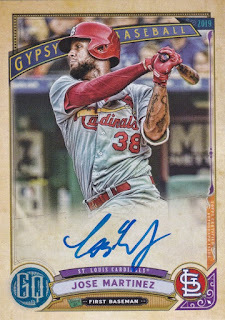 I'm not a big autograph seeker as most of you probably know, but the autos in this set do look pretty spectacular. This makes me wonder if this was a rejected alternate design for the base cards. 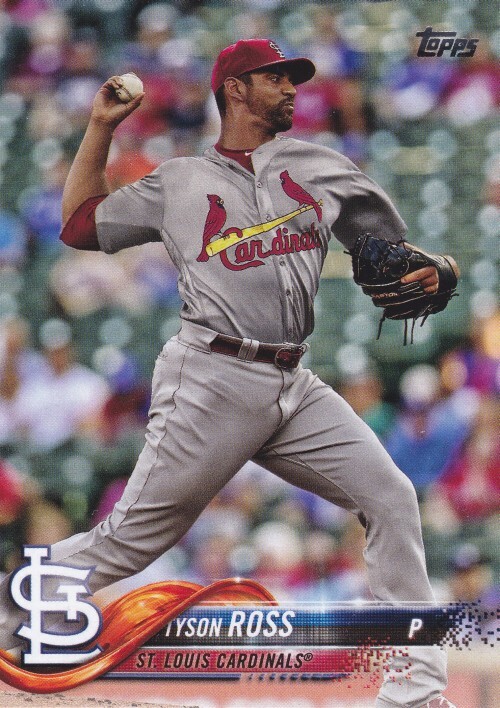 In any case, I was pleased to snag this Jose Martinez card as the centerpiece of my case break haul. While my opinions (and especially team leanings) may not always align with his, @WatchTheBreaks is a good Twitter follow if you want to know what's going on in the world of sports cards. Thanks to a tip from him, I was alerted to an eBay coupon code that allowed you to purchase any item over $3.00 with a $3.00 discount. Toss in some listings that have free shipping, and, well... you do the math. 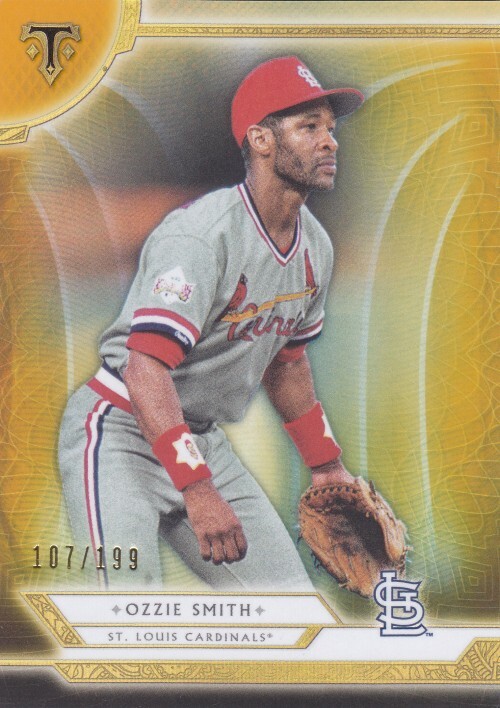 It was my first Ozzie Smith purchase in awhile, but hopefully not my last this spring. I've done so much work on my want lists lately that I'm hoping to soon get back to actually filling those lists, since I don't expect you all to do all that work for me. 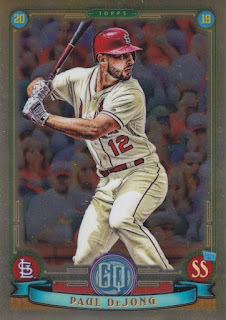 The card is from last year's Triple Threads set and is one of the endless varieties of color parallels. Since I won't be "chasing the rainbow" as they say, this will have to just do for now. It's not bad. 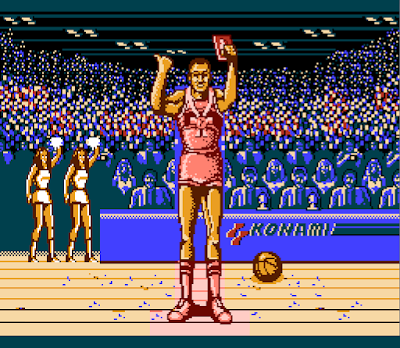 Actually, we'll do the contest update first before we look at some cards from Bump and Run. After sweeping the football contest, Trevor decided to let his kids take the guessing wheel and finds his bracket at the bottom of a hotly contested list of not so great brackets. There are only three brackets left that still have their hand-picked tourney winner still alive. Of them, leiber88's bracket sits at the top, though things could get very interesting if Virginia ends up not winning it all. Although rl16's bracket currently sits in second, with a strong Final Four it looks like The Lost Collector could end up jumping all the way up from 14th to 2nd. Still, there's a lot of basketball left to be played. Well, three games, anyway. 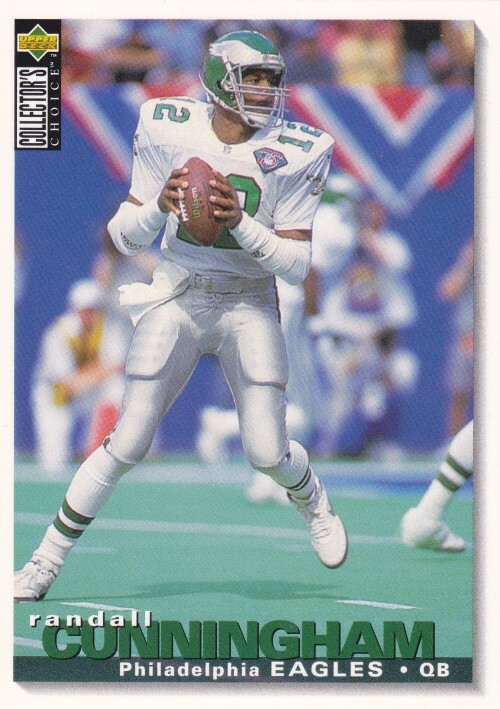 Trevor hit me with what some call "return fire" (I'll just call it friendly fire) for hooking him up with some football cards I found at Goodwill awhile back. 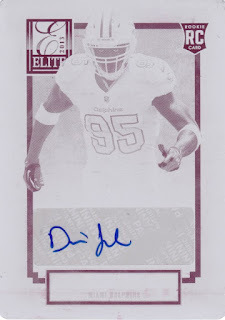 Along with one of the last 2018 Bowman Cardinals cards I needed, I also ended up with some football stuff. 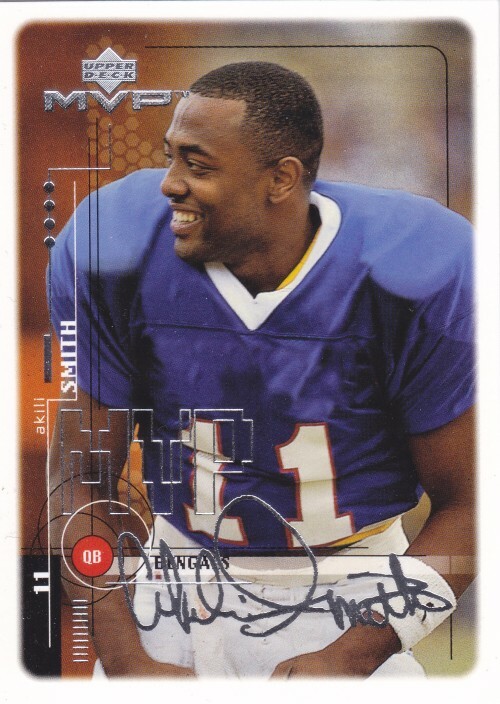 Here's a silver signature parallel of former Ducks star Akili Smith's 1999 Upper Deck MVP card. 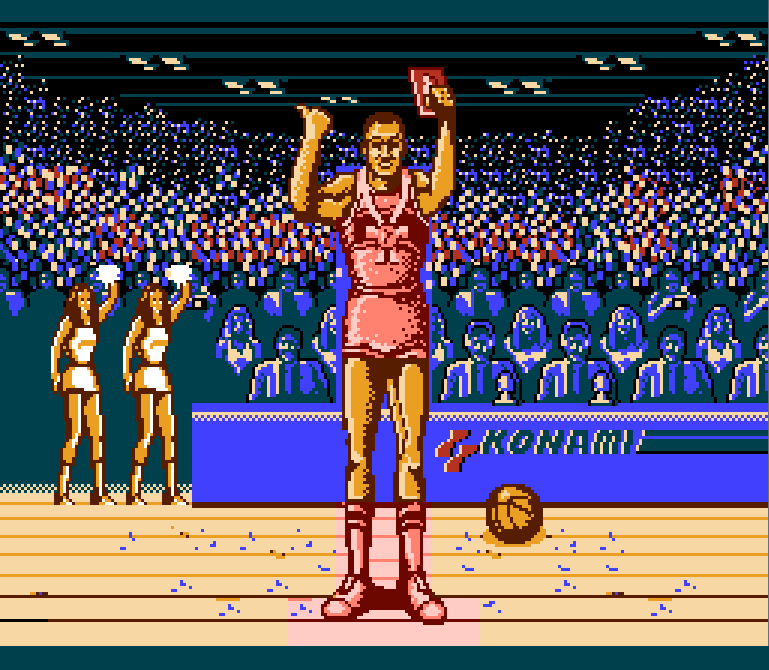 He's wearing an unfamiliar jersey (i.e. not Ducks or Bengals) which seems to be from one of the postseason college All-Star games. The signature isn't real, but Akili's smile is. 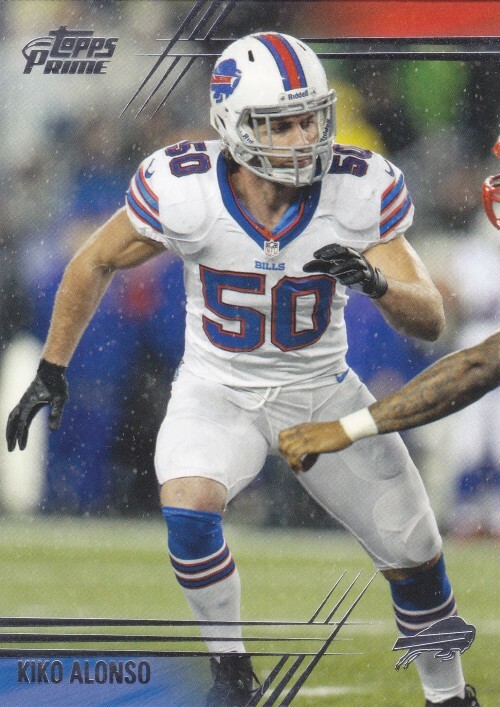 Another Duck here in Kiko Alonso. 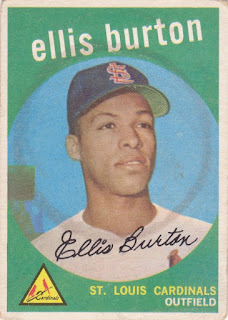 This one is thicker than your average card, which often means there were distinct retail and hobby versions. Here's one for my Randall collection. Cunningham is wearing the NFL 75th anniversary patch that was standard back in 1994. 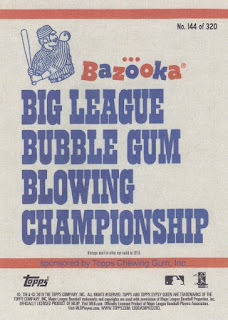 Baseball celebrated 125 years that same year (which didn't go so well as I recall) and 150 years this year (uh oh), but I don't remember the NFL making much of what you would expect to be a huge number (100) this year. Weird. Finally, here's the Eagles QB of the past and apparent future. 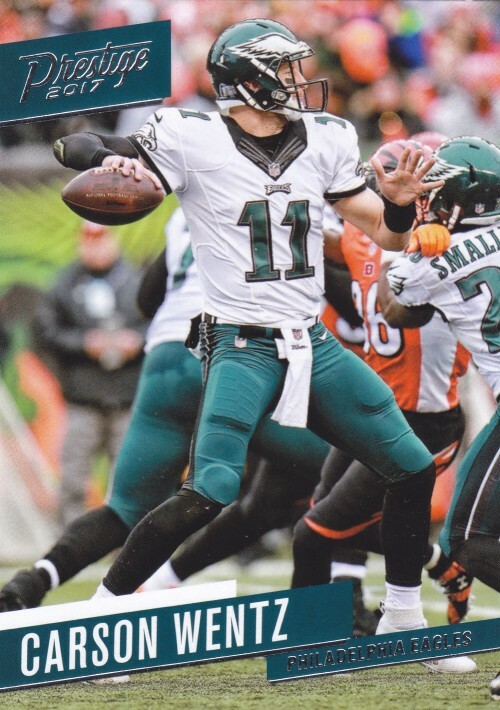 With Nick Foles once again out of the picture (to Jacksonville, sorry... Bortles), it will again be Wentz's team to lead... just in time for him and everyone else to have to answer questions about whether the team was better off without him. It is uncomfortable being an Eagles fan.